Ikorodu Nigeria: Ikorodu Lagos Nigeria is one of the 20 local government areas in Lagos state Nigeria. Most people are familiar with the Ikorodu road, which is a very long stretch of road that connects Lagos mainland to Lagos Island. However, I'm surprised to find that a large percentage of Lagosians do not realise that the road is called Ikorodu road because the road starts from Ikorodu town, all through Ojota, Western Avenue and down to Lagos Island and Victoria island. Yes, Ikorodu road is one of the longest single road in Lagos state, comparable in length to Badagry road and the Lagos Abeokuta expressway. 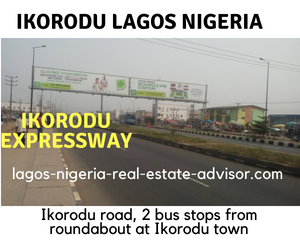 When many people hear of Ikorodu Nigeria, they think of it as just one town. Even thouands of people who live in Lagos state still make this mitake. Yes, Ikorodu is the name of a town in Lagos. But often when people speak of going to Ikorodu, many times they are not actually going to Ikorodu town but one of the or towns of villages in Ikorodu local government area (or Ikorodu Division).
. . . and many more towns. As you can see from the list above, Ikorodu Lagos Nigeria is a massive division in Lagos state Nigeria. In fact, Ikorodu local government area (LGA) is the 7th largest LGA in Lagos state. Lagos state is connected to Ogun state through . . . Most people are familiar with the first three routes mentioned above but not the last two. You have heard that Lagos Nigeria is bounded by water and water transportation should be commonplace, right? Well, the one place you will find water transportation commonly used in Lagos state is in Ikorodu Nigeria. A boat trip from Bayeku Ikorodu to Ajah, takes about 15 minutes while Ebute Ikorodu to Victoria Island takes about 25 minutes. Ikorodu Nigeria boasts of vast amount of manufacturing and Agricultural land. In fact, several towns in Ikorodu have vast areas designated by the Lagos state government as Agric development areas. Thinking of crop or animal farming business? Come to Ikorodu area of Lagos Nigeria. You will find suitable land there. Want to setup a factory? Ikorodu Lagos Nigeria has dry land waiting for you to harness for your manufacturing business. 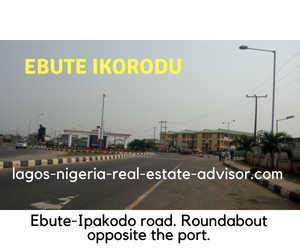 Why is Ikorodu Nigeria suitable for vast residential developments? 1. Ikorodu has dry land, unlike the Lekki area of Lagos with water-logged land that requires special foundation that cost more money. 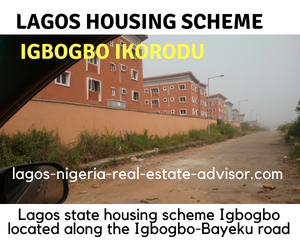 Therefore, residential land in Ikorodu Lagos Nigeria is ideal for low income earners and middle class people. You see, Ibeju Lekki area of Lagos Nigeria is home to the Lekki free trade zone and massive developments like . . .
Low income earners who cannot afford to build in Ibeju Lekki Lagos Nigeria can take advantage of the low cost residential lands in Ikorodu Nigeria. The massive government and private sector investment in the Ibeju Lekki area will definite spill over to Ikorodu because Ikorodu is the closest area with really dry land. 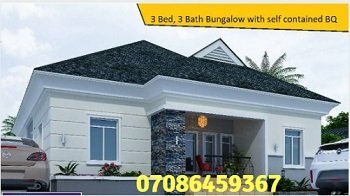 Interested in buying land in Ikorodu Lagos Nigeria?